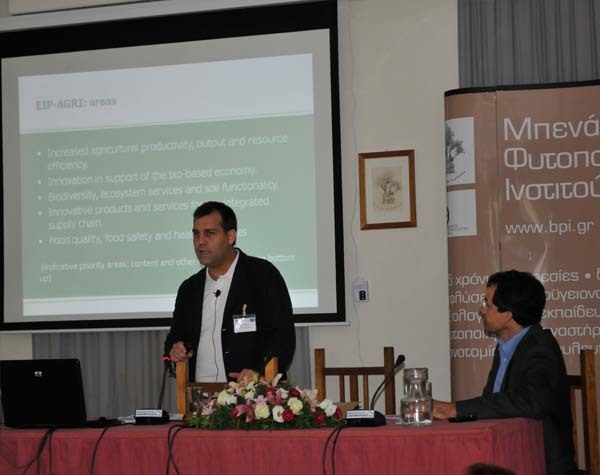 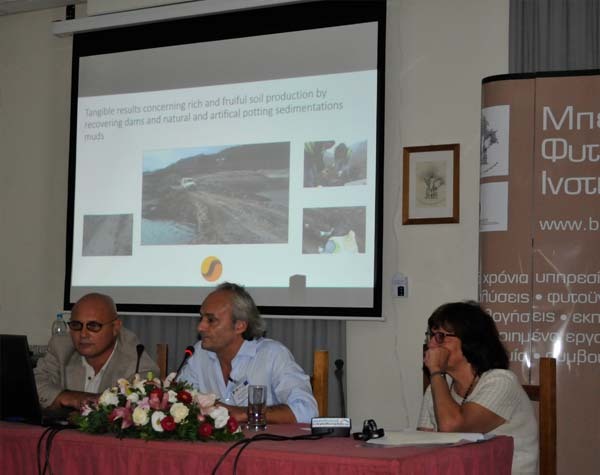 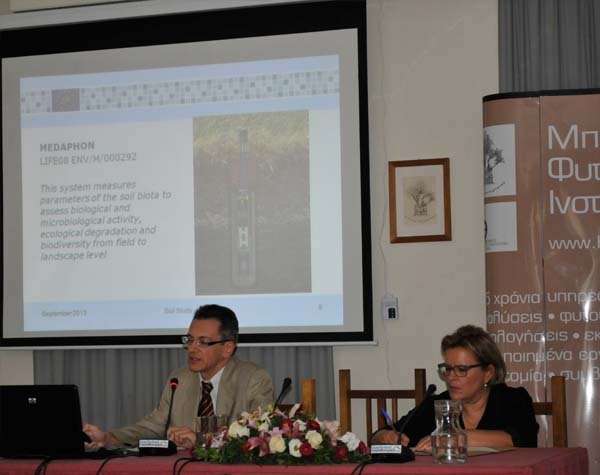 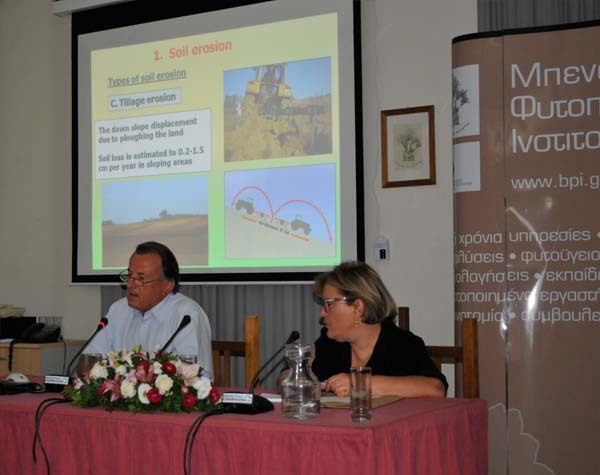 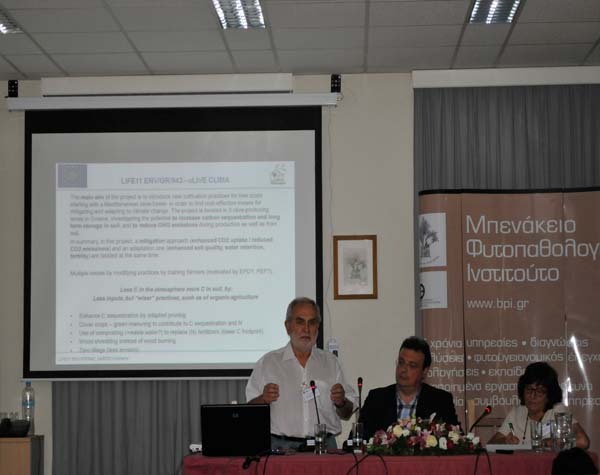 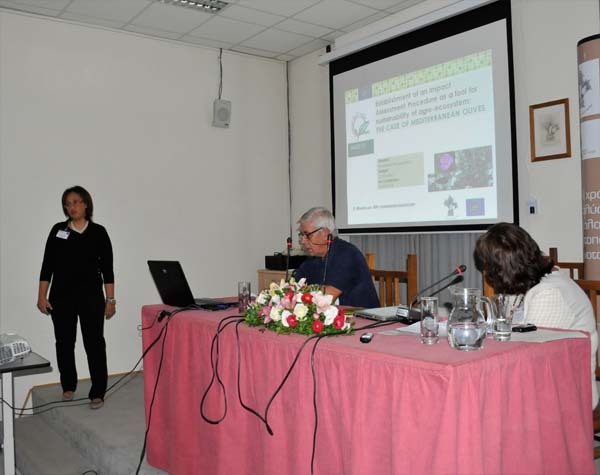 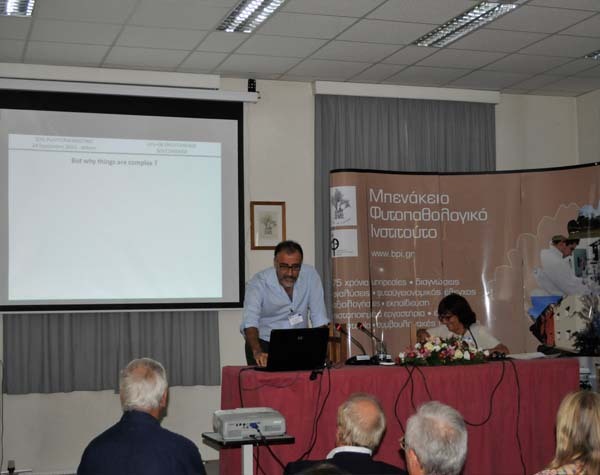 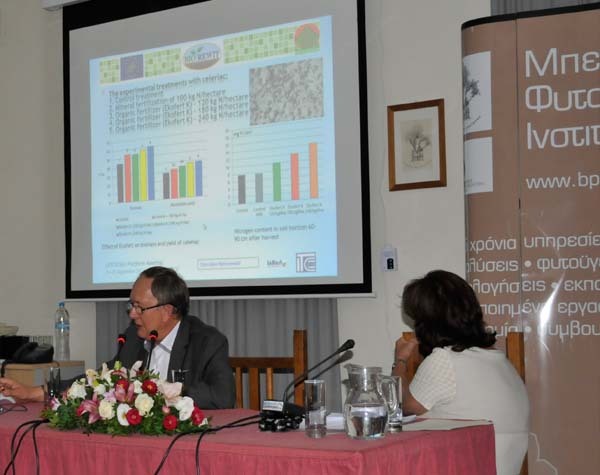 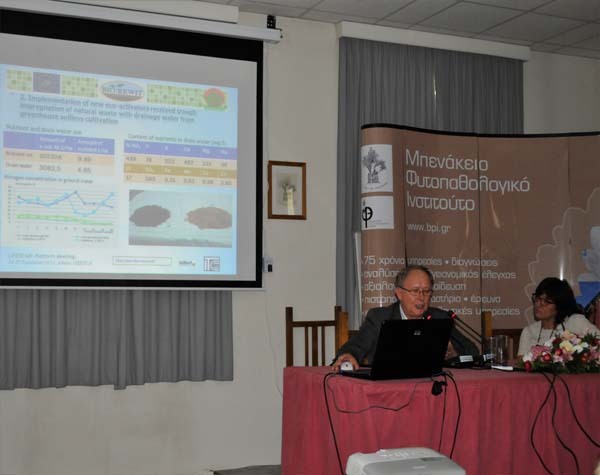 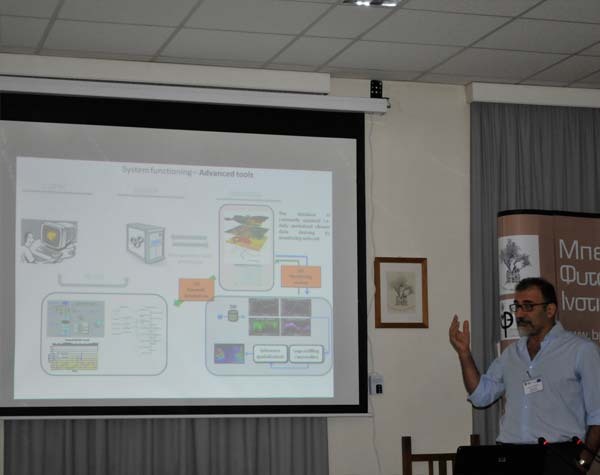 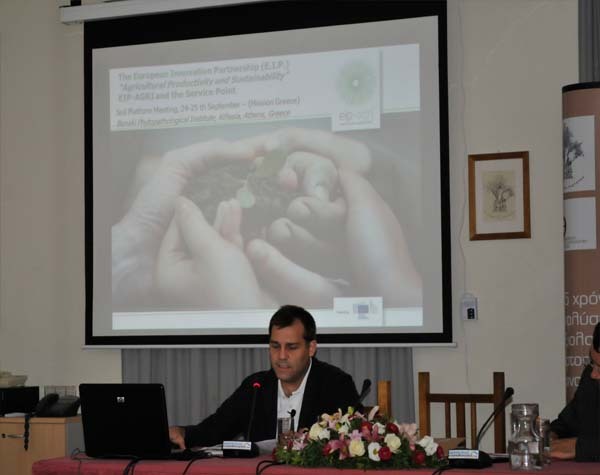 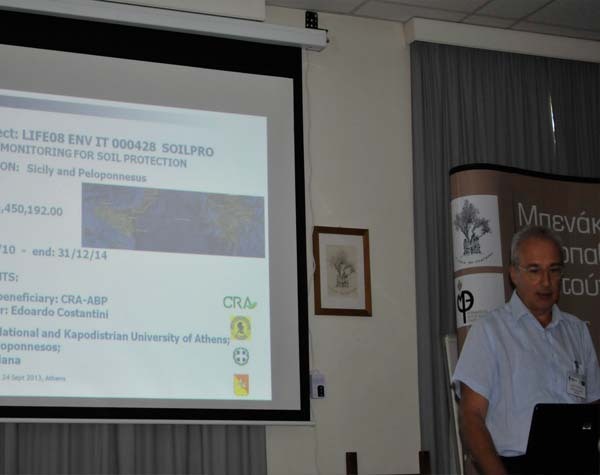 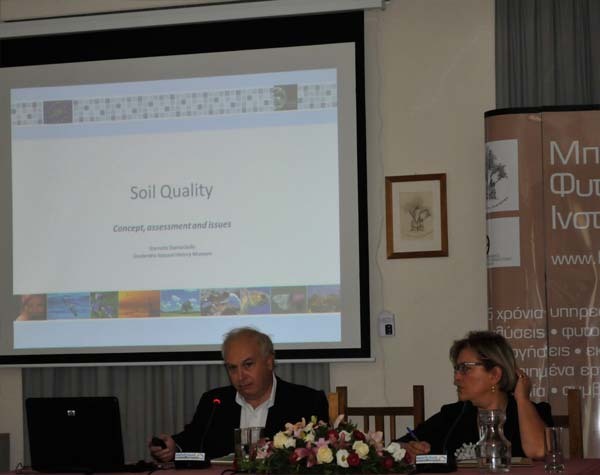 On 24 and 25 September, the Benaki Phytopathological Institute (BPI) hosted a two day meeting on innovative initiatives for soil conservation in the European Union. 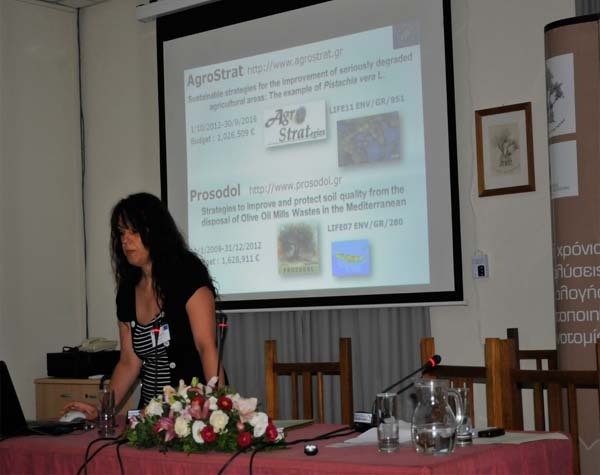 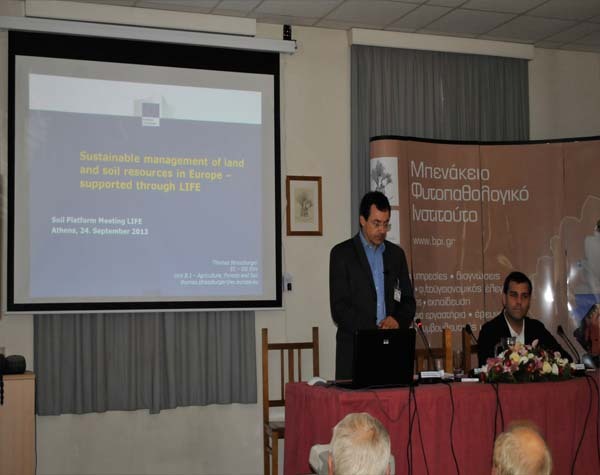 The meeting, co-organised by the European Commission and the Astrale Monitoring team, invited experts from all over Europe to present soil related projects co-funded by the European Commission LIFE Programme. 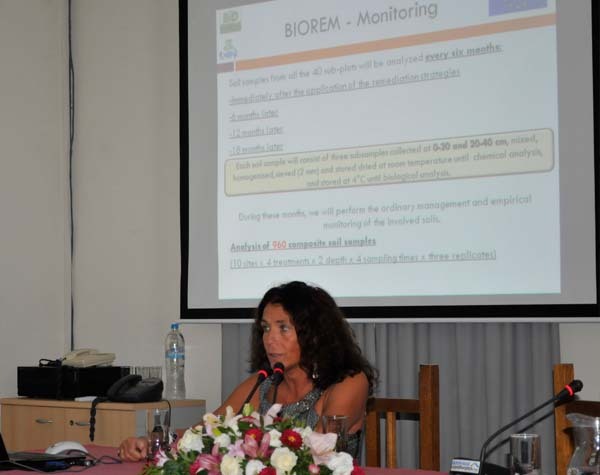 Policy officers from the Directorate General Environment and Directorate General Agriculture of the European Commission attended. 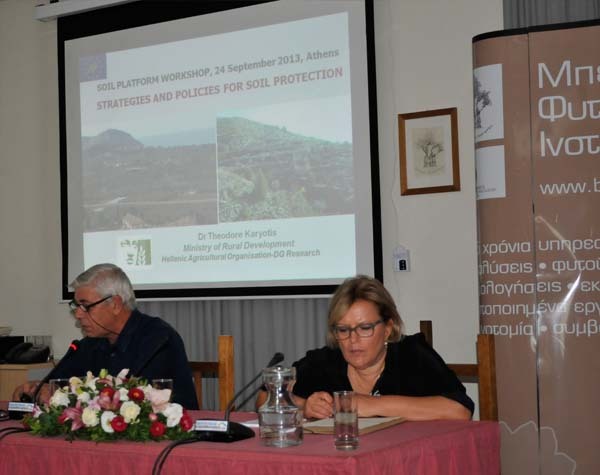 The first day of the meeting included presentations by soil experts and two workgroups which discussed scientific and policy issues. 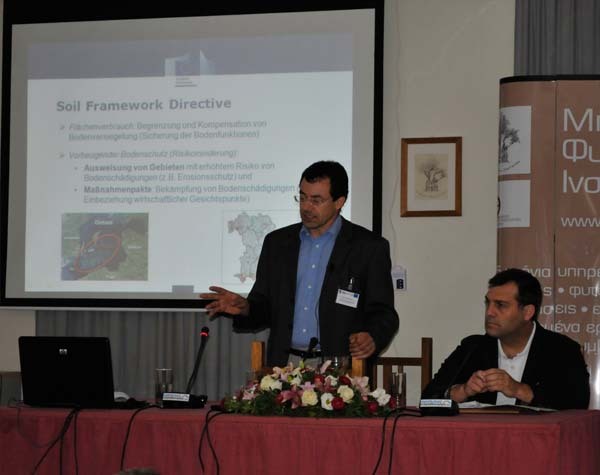 The outcomes of the meeting contributed to the development of the EU Soil Directive and will be published this December. 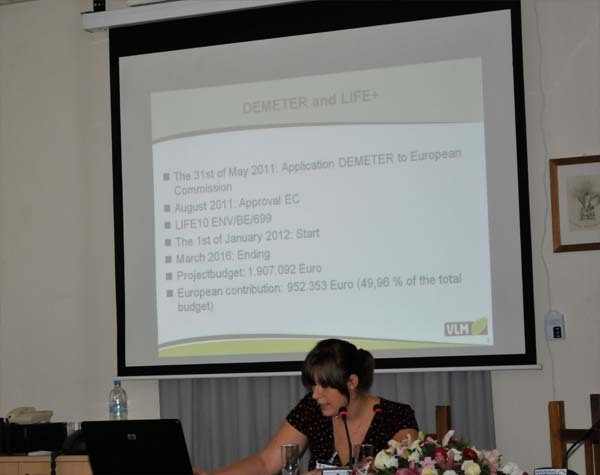 During the second day, participants visited the site of the successful LIFE project ECOPEST (Best of the Best 2012), in Chaeronia, Viotia where comprehensive soil monitoring and assessment helped to improve agricultural practices.